New Denver Broncos Head Coach Vic Fangio will have say in defensive personnel. KUSA – Defensive know-how was a big reason why Vic Fangio was hired by John Elway to become the Broncos’ new head coach. As the team’s general manager, Elway is expected to follow up by allowing Fangio to have considerable influence on the Broncos’ defensive personnel. It’s Fangio’s 3-4 system. He knows the kind of players who would fit his system. Elway and his top personnel assistant Matt Russell held a couple weeks of meetings with their coaches on expected free agents before taking a break last week. In two more weeks, all Broncos’ football operations employees will descend on Indianapolis for the NFL Combine, which will work out and provide interview access to 338 of the best incoming rookies. After the Broncos posted 5-11 and 6-10 records the past two years, upgrades are needed on both sides of the ball. We start today with defense. After ranking No. 1 in the NFL with 283.1 yards allowed in the Broncos’ Super Bowl 50 season of 2015, the Denver D fell to No. 22 in 2018 by allowing 82 more yards a game. Fangio and his longtime assistant Ed Donatell have been brought in to help stop the slide. Easily, the biggest area of concern as there could be two starters to replace. One cornerback starter, Chris Harris Jr., is back for a team-friendly $8.9 million on the final year of his contract (counting a $1 million bonus that counts against 2018 cap, but must be exercised by March 12). 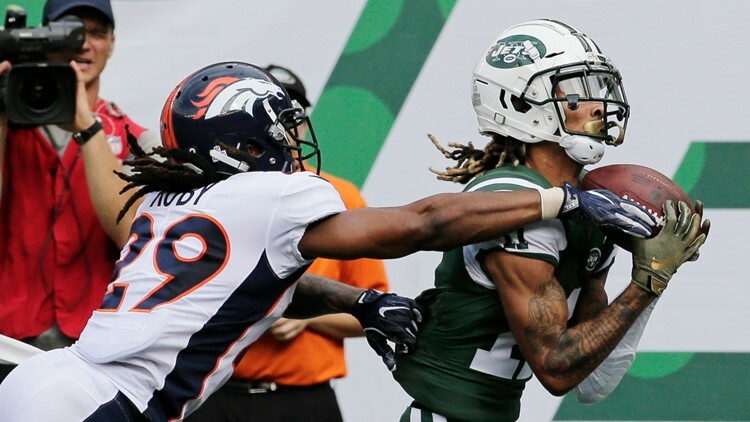 One safety starter, Justin Simmons, is back for an even friendlier estimate of $2.005 million (after performance pay bump from his intial $720,000 fourth-year minimum). Otherwise, there are question marks. 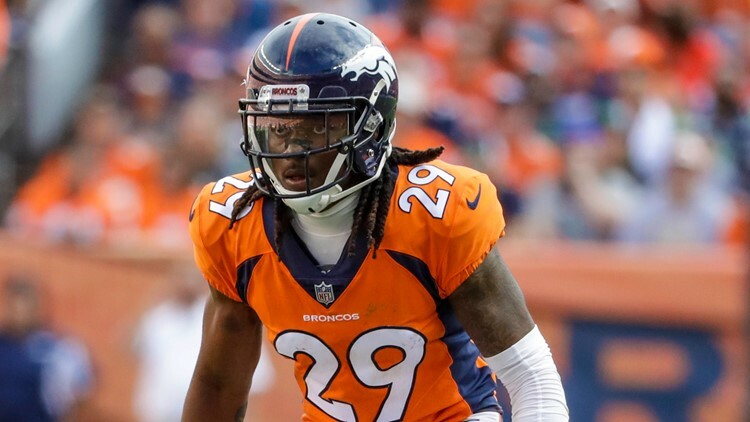 Veteran Tramaine Brock, who played for Vic Fangio and Ed Donatell in San Francisco from 2011-14, is an unrestricted free agent who may have a better chance of returning than Bradley Roby, another free agent who could command a fairly lucrative contract. Second-year cornerback Isaac Yiadom and safeties Will Parks, Dymonte Thomas and Jamal Carter should return for depth. But there is no more guarantee left on starting safety Darian Stewart’s contract that is otherwise scheduled to pay him $5 million in 2019. Stewart, who turns 31 in August, was a solid four-year starter for the Broncos but any veteran making decent, non-guaranteed money is vulnerable. 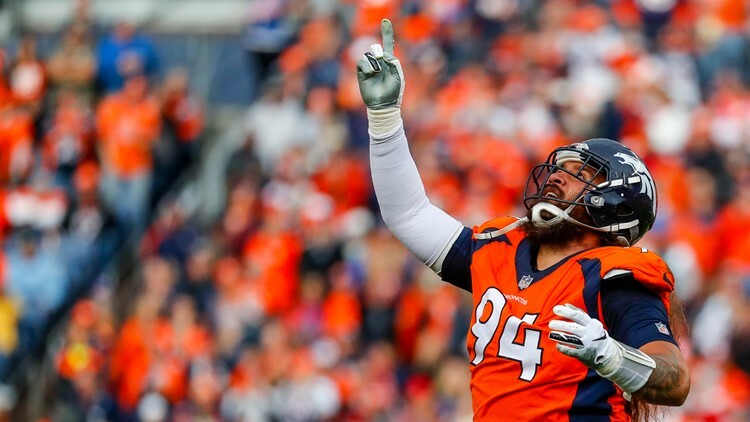 There’s a decent chance the Broncos will have to replace veteran Domata Peko in the middle as the likeable, 34-year-old will be a free agent. Adam Gotsis, who emerged as the Broncos’ best defensive lineman in the second half of the 2018 season, returns for his fourth season. Derek Wolfe only had 2.0 and 1.5 sacks in the past two seasons, but is still a good value at $9.55 million in the final year of his contract. However, if Elway decides to shift considerably more financial resources to the offensive side of the ball, there’s a slight chance Wolfe could be vulnerable. We’ll find out his fate on the five days before the league season, or March 8, when his $1 million option bonus is due. (The option would count back against the 2018 cap). Shelby Harris is expected to return as a restricted free agent and perhaps the new coaching staff can get something out of 2017 second-round draft pick DeMarcus Walker. Zach Kerr is an unrestricted free agent who averaged less than $1.6 million the previous two years. He gave the Broncos good on-field value and he’s a good locker-room guy, so it would be a surprise if the Broncos didn’t try to re-sign him. The good news is Todd Davis, Josey Jewell, Brandon Marshall, Keishawn Bierria and A.J. Johnson are all under contract in 2019. But how many fit Fangio’s system that operates best with inside linebackers who can run? Davis and Jewell are terrific in-box linebackers, but they are vulnerable in space. Marshall can run, but it would be a surprise if the Broncos pay his $6.5 million, non-guaranteed salary for 2019. We’ll probably find out by the morning of March 13 when $1 million of his $6.5 million salary becomes guaranteed. 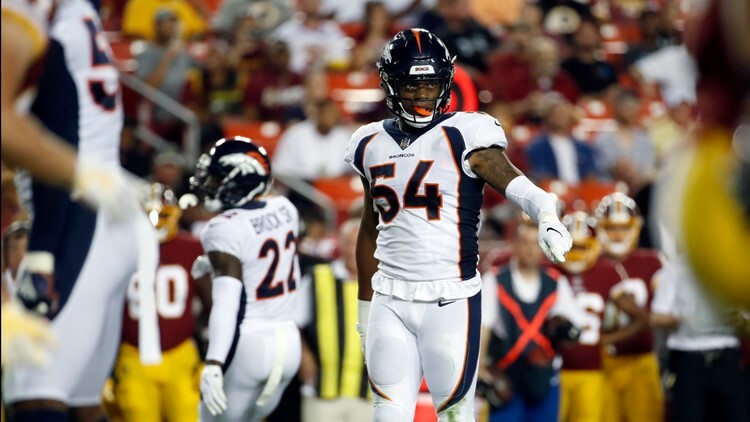 It wouldn’t be a surprise if the Broncos select an inside linebacker within the first three rounds of the draft – something the team hasn’t done since Nate Irving in 2011. And the Broncos haven’t taken a non-rushing linebacker within the first two rounds since D.J. Williams was a first-round pick in 2004. 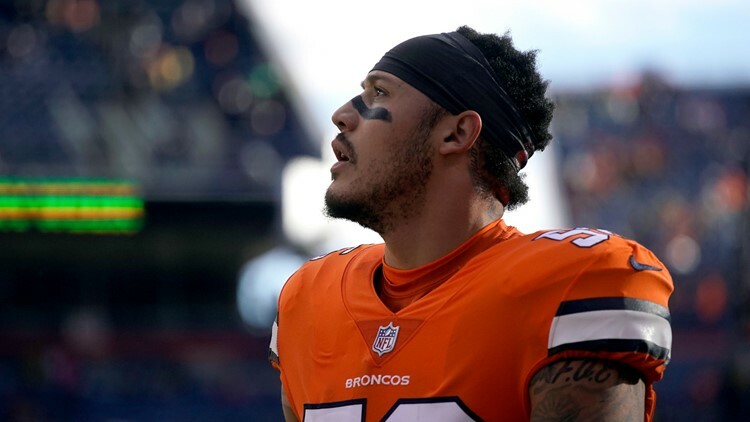 Although Von Miller and Bradley Chubb are the strength of the team, the Broncos will be needing depth as their top two backup edge rushers, Shaq Barrett and Shane Ray, are about to hit unrestricted free agency. The Broncos would like Barrett back, but he may look for a better opportunity to start. Jeff Holland was an undrafted rookie last year who showed promise in the final three regular-season games.